NJW Construction > news > Underutilized Main Floor Living Space Converted to Settle a Frazzled Mom’s Life! Underutilized Main Floor Living Space Converted to Settle a Frazzled Mom’s Life! The “divide and conquer” strategy was employed to make this remodel a success. One seemingly useless main level room was sub divided into two highly functional spaces. 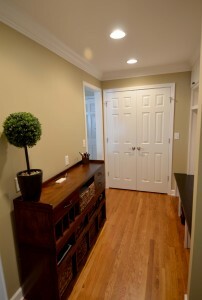 Now this home is graced with a Mud Room/Entry area and an Office Area. 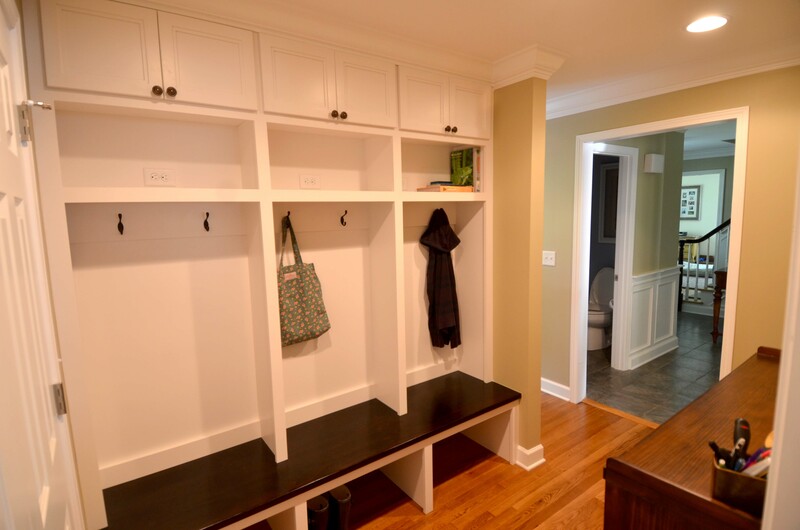 The prized piece in this mud room; a customized landing zone, cubby system, designed to provide each family member their own drop and go space. Custom cabinets to fit the exact project specifications embodied; seating, open floor shoe storage, coat and bag hanging brackets and even closed storage to catch surplus items. No detail was left unturned; each zone was even equipped with an outlet, creating personalized electronic recharging stations. Designed for function, the wide corridor allowed for additional storage furniture placement, to further assist in the organizational needs of this dropping zone. As if these storage items were not enough, a mop and broom closet was built in to the room for overflow. Just beyond this dropping zone; an office, out of the way yet highly usable, is located to take advantage of the natural lighting. 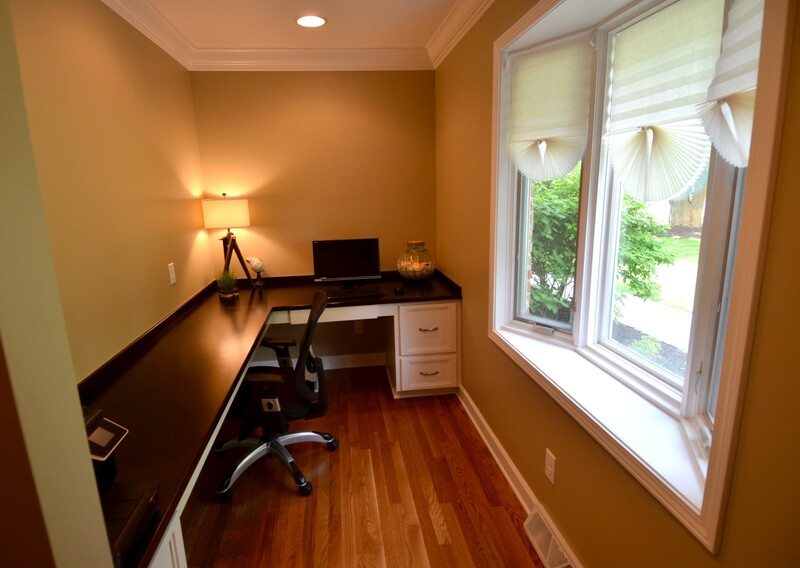 A desk cabinet, file drawer cabinet and pencil drawer create storage, however minimal cabinets create a large spans of counter top/desk space beneficial for any family. Though function was the top project requirement, style and design did not take the back burner. 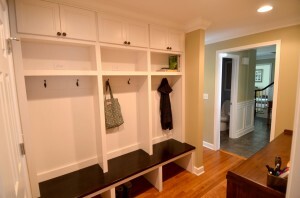 White cabinets create a clean and airy feel; however a punch of contrast was introduced in the mud room dark stained bench and the office dark counter top. Refinished hard wood floors are stained in a more natural color to allow the darker top and bench to be the eye catching accent. The white wood work abounds even into the trim and, topping the show, is the wide crown molding. Wrapped up in one amazing package, these two rooms have brought function, organization, style and sanity back to one central Ohio family.